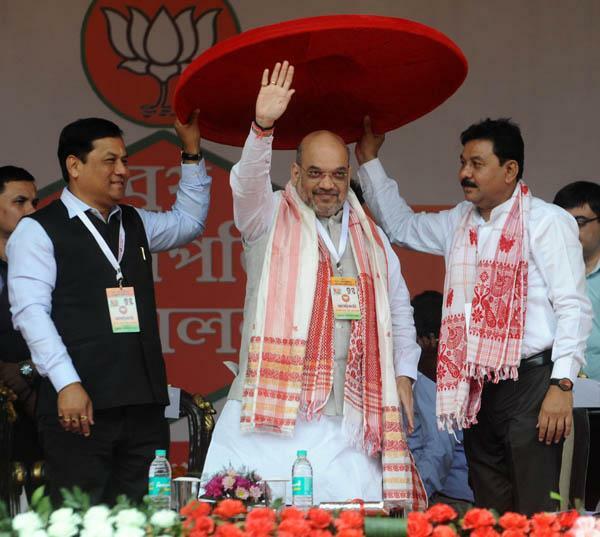 BJP President Amit Shah today attended the Booth Sabhapati Sanmelan (Booth Presidents’ Conference) of the party at Khanapara in Guwahati. The meeting was attended by Assam Chief Minister Sarbananda Sonowal, Finance, Education and Health Minister Himanta Biswa Sarma, BJP MLA Ranjit Das and all MPs and MLAs of BJP. The Sabhapati Sanmelan is being held as a part of the party's preparation for the upcoming Panchayat polls in Assam.